We believe choosing the right company is very important and here at Executive Villas we put a package together which helps and guides you through any questions or uncertainties that you may have. Our knowledge in the rental/hospitality market spans back some 3 generations. While it can be a scary process purchasing a home thousands of miles away, we have all the knowledge that is required to assist you in the various license’s that are needed to meet all the legal requirements. Short Term Vacation License. Local and State Tax License. Annual 1099’s/1042’s. We have a specialist team in place who can administer and apply these on your behalf, taking the pressure away from yourselves. We also deal with all the major utility companies. We will transfer the utilities into your name on closing. 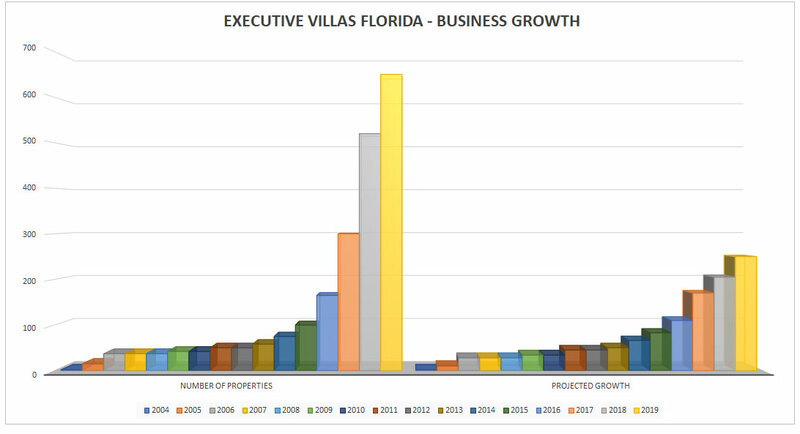 Here at Executive Villas Florida we are unique in as much we never purchased a Business. From day one, we have built the company based on old fashion values and word of mouth. We take pride in our growth to becoming one of the major players in the “Short Term” vacation rental market and have achieved this on our own success of building honest and trustworthy company which has ties throughout the industry. As you can see from the chart we have progressed year on year, which has enabled us to establish the ties that we have today. While the growth has increased, one thing that hasn’t changed is our standards, we take great pride in maintain these to the very high levels that we set ourselves. 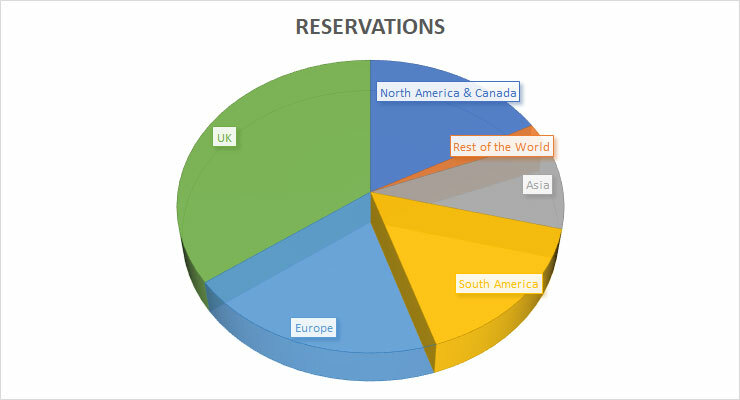 As you can see from our chart we are very active in “up and coming” world markets as we have links not only through our contacts in the UK and America, but throughout Europe and the rest of the world. Executive Villas are unique as such, they supply all the relevant information to the Home Owners and work on a “open book policy” where all rates that are received, are passed on to the homeowner first hand, so they are able to see exactly what rates are being achieved. We work on a started commission of 15% across the board unless it is an owner booking where we make a flat rate fee of $25 for admin.